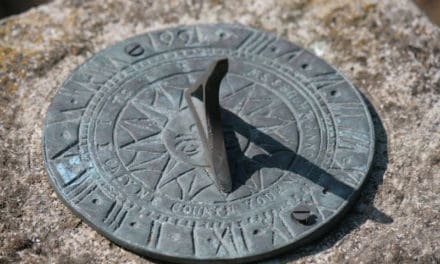 In this Episode of CS we’ll take a look at a figure of church history anyone who’s done any reading in such has likely encountered – Eusebius of Caesarea. He’s a prominent figure because he’s known as the Father of Church history for his classic work Ecclesiastical History which charts the course of the early church from its inception to the late 3rd C.
While Eusebius is honored today as the Father of Church History for his literally ground-breaking work, his generation knew him simply as the bishop of Caesarea and a friend of Pamphilus, a scholar who fought valiantly against the Arian heresy. Little is known of Eusebius’ life prior to his tenure as lead pastor at the important church of Caesarea. He seems to have been born in the Roman province of Palestine around 260. He became a pupil of Pastor Pamphilus at Caesarea, then his chief assistant. 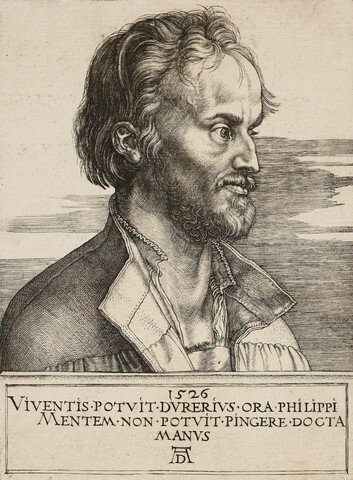 Pamphilus had come from Alexandria and made at Caesarea one of the greatest libraries of Christian writings. 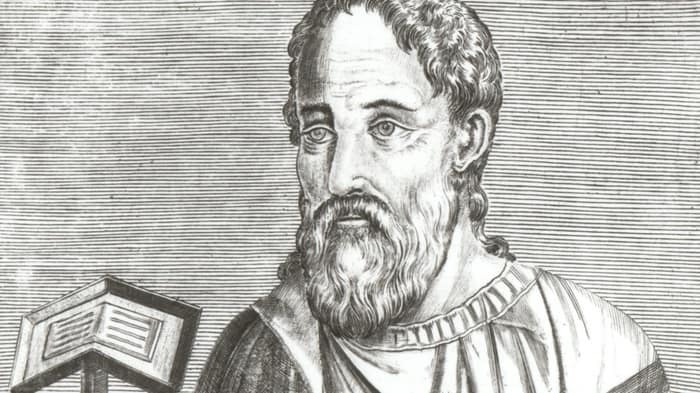 Just before Pamphilus arrived, the great scholar Origen had centered his work at Caesarea and composed the famed Hexapla there, a Bible in 6 side-by-side languages. It was kept in the library there. Though Pamphilus expanded Caesarea’s library, it was Origen who’d started it with volumes he’d collected during his many travels. Eusebius so revered his teacher he called himself “son of Pamphilus.” Pamphilus was imprisoned in the last days of the Great Persecution and died a martyr in 310. Eusebius wrote a 3 volume biography of his mentor. 3) And something he titled Chronicle which was a record of world history to 303, which Eusebius intended as a preface to his magnum opus, Ecclesiastical History. A few yrs after Eusebius became bishop at Caesarea, the Arian Controversy broke out in full force, threatening to tear the church apart. It seemed what persecution had been unable to do during the reign of Diocletian, an argument over theology would accomplish when persecution was over. As the student of Pamphilus, Eusebius did not support Arius’ idea that Jesus wasn’t God. But Eusebius would not go along with the movement to declare Arius a heretic and toss him and his many supporters from the church. For this, Eusebius himself was excommunicated in early 325 aby an Anti-Arian synod at Antioch. At the Council of Nicea later that year, he defended himself before the Emperor by bringing forth a copy of the baptismal creed used in his church at Caesarea. It stated an orthodox view and proved Eusebius was no Arian. What he was, was a church leader who felt the Arian controversy had been turned by some into a grievous black-mark on Christian unity. He though it would be better to keep Arius and his many supporters IN the Church and deal with them as men who needed correction, than to cast them out and see them agitate for their position there where the world would look on it all as a shameful display of pettiness. The Caesarean baptismal formula was such a clear affirmation of an orthodox view, it was apparently used as the template from which the Council of Nicaea crafted its final position and developed the Nicaean Creed. But some members of the council found the Caesarean formula a tad too vague. Then sought to remedy that vagueness by adding the controversial term homoousios that we talked at length about in Season 1. Eusebius reluctantly voted with the rest of the Council in approving the creed, though he was one of many bishops less than thrilled by the inclusion of that word. Over the next months and yrs, controversy raged over the word homoousias, and the condemned Arius returned to favor. The tables turned and orthodoxy seemed to go down to defeat at the hands of a resurgent heresy. And it would have too, were it not for the courageous stand of Athanasius, who refused to allow the Truth of God’s Word to be edited by the prospect of pragmatic church politics. Sadly, Eusebius sat on the board that condemned Athanasius. Again, not for doctrinal reason, but because Eusebius judge Athanasius an divisive agent who hindered unity. What Eusebius had been reluctant to do with a heretic, that is, oust him, he was willing to do with a man who was orthodox. The Emperor Constantine was impressed with Eusebius and asked him to produce a speech to be given at the 13th Anniversary of the Emperor’s ascension. Eusebius followed that up with a grandiloquent eulogy of Constantine when he died in 335. Eusebius himself died 4 yrs later. One of the works Eusebius produced that has been a source of much help to historians is called the Onomasticon. It was something of a ground-breaking innovation on Eusebius’ part. In modern terms, we’d call it a Bible atlas, or a geographical gazette. His goal was to provide an easily referenced list of all the places the Bible mentions and give a short description of where they were located. He used Roman miles as a measure of distance, and listed them alphabetically and by book of the Bible. When Eusebius was an assistant to his mentor Pamphilus, they’d worked on the challenge of textual criticism with the Septuagint, the Common Greek translation of the Hebrew Bible, as well as manuscripts of the NT. Jerome tells us Origen had already collected the Septuagint and that was the text Pamphilus and Eusebius worked on. Eusebius also set about to produce a kind of harmony of the 4 Gospels so that people could read the story of Jesus in a collected format. This work was a favorite text of Medieval scholars and became the source of many illuminated manuscripts. Besides these major works of Eusebius is a plethora of shorter & lesser works; letters, short treatises, notes and such that all bear his distinctive mark. Eusebius is recognized by no one as an author of great prose or eloquence. His writing is classically workman-like. What distinguishes his style, in everything except his praise of Constantine, is its refusal to embellish or fabricate. Not everything he wrote was factual, but whatever he did pen was a careful and faithful transmission of what he’d been told or had researched. For that reason, scholars tend to give Eusebius general credence in his recording of history. Walter, V. (1992). Eusebius of Caesarea. In J. D. Douglas & P. W. Comfort (Eds. ), Who’s Who in Christian history (pp. 239–240). Wheaton, IL: Tyndale House.